The Jabra BT2080 Bluetooth headset is the ideal accessory when multi-tasking is the order of the day. This wireless headset is designed to help you make life a little less hectic. Bluetooth technology version 2.1 makes pairing easy and secure. This Bluetooth headset has a lightweight design and feature a comfortable ear gel and ear hook that make wearing this hands-free headset effortless. The Jabra BT2080 wireless headset helps to keep everything in your life under control with style and attitude. 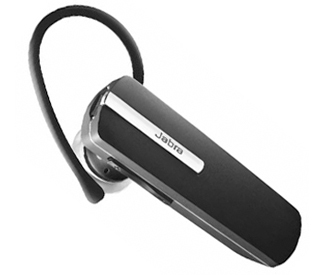 The Jabra BT2080 Bluetooth headset has universal compatibility with any Bluetooth device.